On Wednesday evenings the adult bible study will be focusing on the study by Warren Wiersbe of I Corinthians. 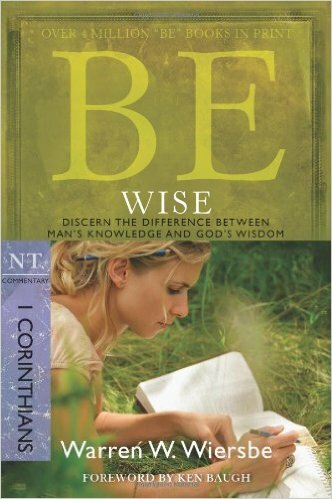 The study focuses on the difference between God’s Wisdom and the wisdom of man. Join us at 6:30 each Wednesday evening as we explore the book of I Corinthians together. See Pastor Steve or Susan Spaid for more information.